Stairs play an important role in buildings. Earlier, stairs were manufactured from wooden logs but not anymore. There is now a variety of materials available as staircase materials. To make stairs attractive and safe, we now have balustrades. Balustrade is an important feature of the household which plays a significant role in ensuring safety and improving the appeal of the house at the same time. To beautify a house or building, you may choose appealing stair balustrades. Balustrades can be made of wood, plastic, steel, polyurethane or glass. Among all the materials, glass is the most popular one. Balustrades are used in several places including pools, terraces, floor openings and upon the stairs. External balustrades are commonly used in outdoor areas like schools, colleges, shopping areas and parking zones. There are various kinds of balustrades and the divisions are made on the basis of material. It can be glass, wooden, plastic, concrete, glass or stone balustrade. It can also be wrought aluminum, wrought iron or lace balustrade. Before you choose any particular kind of balustrade, always consider your home décor and the kind of look you want to attain. If you want to invite richness and sophistication, go for a glass balustrade. Among so many materials for stair balustrades, stainless steel is a popular choice. It is sturdy, strong and durable. On using stainless steel balustrade, there is no need to spend money or time to enhance the appeal of the balustrade. They will look perfect with little maintenance work. Stainless steel balustrade is a stylish choice in balustrade. The material is much more solid than concrete or wooden. You can use finished balustrade in various spaces like staircases, porches, terraces to invite richness. Steel balustrade is made from stainless steel wire railing and can create safe and appealing zones. If you have creative skills, you can even design your own balustrade. Iron balustrades are another popular kind of stair balustrade. The material is used owing to its low cost and immense durability. Since it has good strength, the balustrade is liked by many. 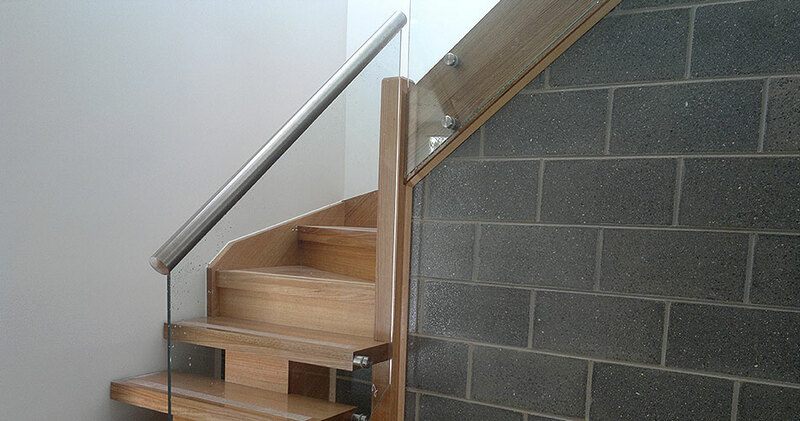 Unlike metallic balustrades, wooden stair balustrades need special care and maintenance. The construction has to be carried out carefully such that there is no damage to the balustrade material. If installed properly, balustrades provide safety to those living inside. Wooden balustrade can chip, crack and warp under moist conditions. The wood material for balustrade must be UV resistant and should have a moisture-resistant coating. Homes can be beautiful and safe only when the construction is carried out carefully. The ones who construct the house should know of the general rules and regulations that apply to construction. Another attractive choice in stair balustrades is stone balustrade. The shape of the balustrade can be vase, rounded or may have a straight pattern. Just like wooden balustrades, a stone balustrade is beautiful. There are a variety of color options also available. You may choose a balustrade in beautiful color and attractive finish. Interior designers come up with attractive designs of balustrades. You may have a look at the catalogue of designs to make a suitable choice. Choose the design which suits your interiors and aesthetic sense. The type and material of balustrade may be chosen as per the climatic condition. For a more eclectic look, combine timber and glass material to design a unique balustrade. The type of balustrade you choose for the home must meet building regulations.